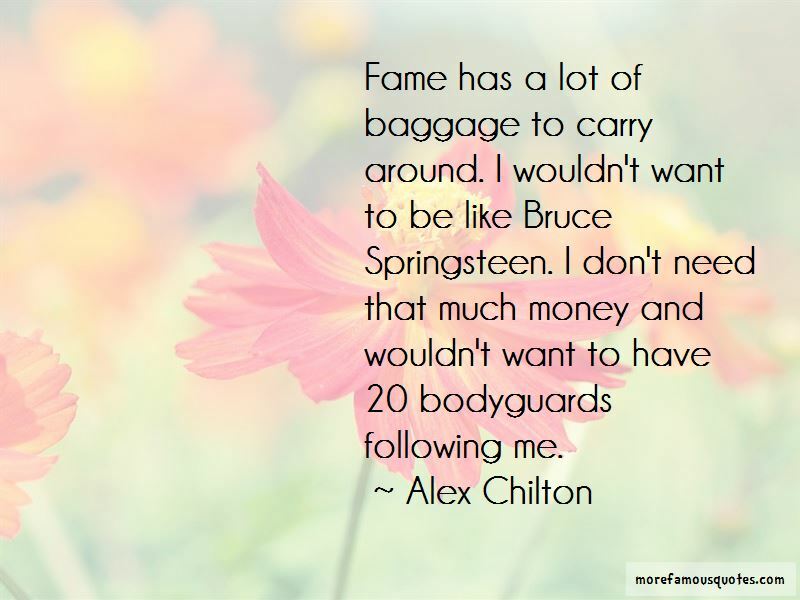 Enjoy the top 10 famous quotes, sayings and quotations by Alex Chilton. Fame has a lot of baggage to carry around. I wouldn't want to be like Bruce Springsteen. I don't need that much money and wouldn't want to have 20 bodyguards following me. 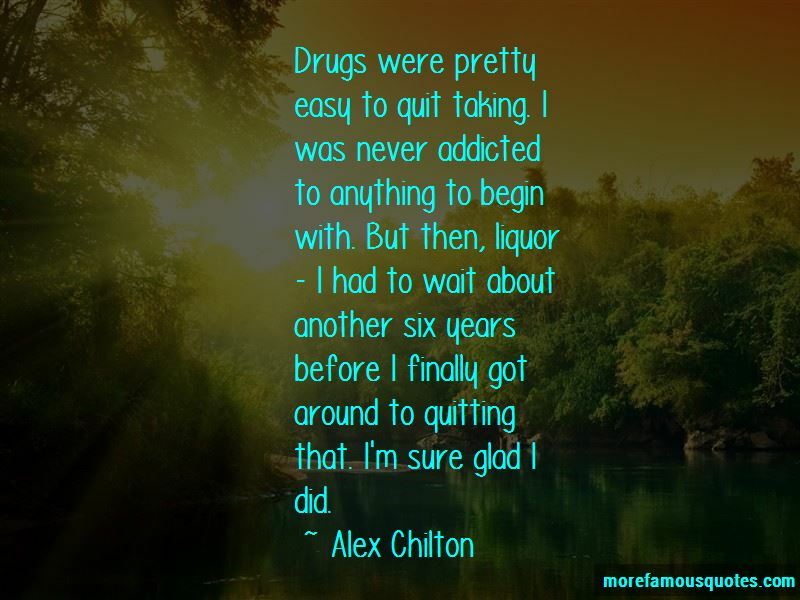 Want to see more pictures of Alex Chilton quotes? 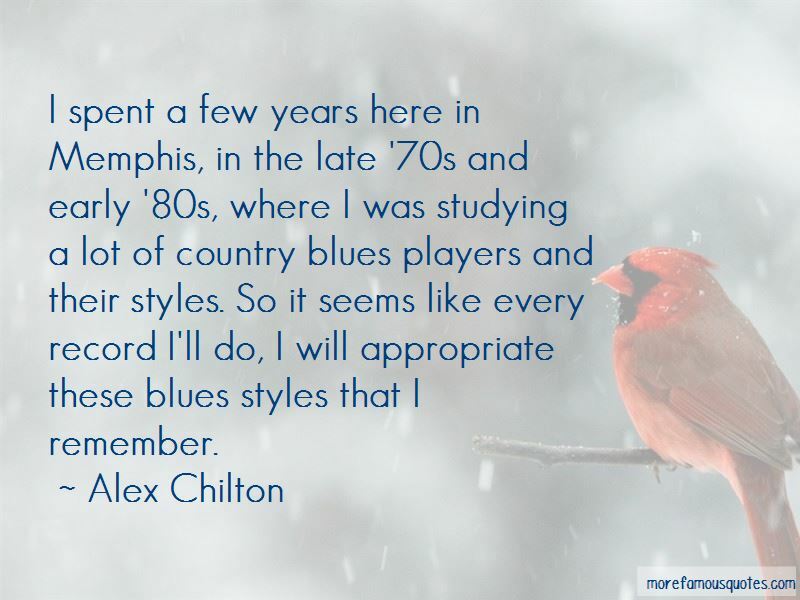 Click on image of Alex Chilton quotes to view full size. “This patchwork approach to problem solving leads to what Steven Teles of Johns Hopkins University calls "kludgeocracy". Mr Teles compares the governments veto” — Anonymous.